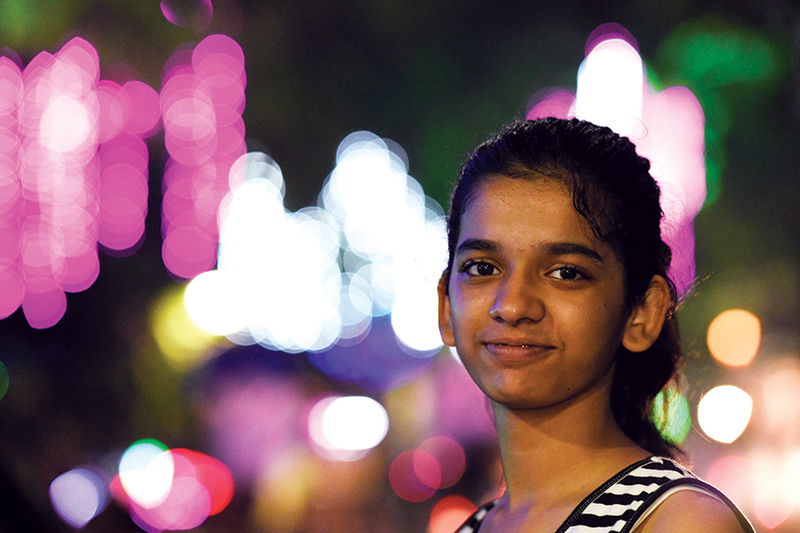 Shridhar Kunte tests the Nikkor AF-S 105mm f/1.4E ED lens to find out what the new standard in the otherwise conventional portraiture focal length has to offer. The 85mm has always been considered to be a classic portrait focal length, but for Nikon users, there was always a gap in the lineup as their iconic vintage lenses, the 105mm f/2 DC and 135mm f/2 DC, hadn’t been updated in the digital era. 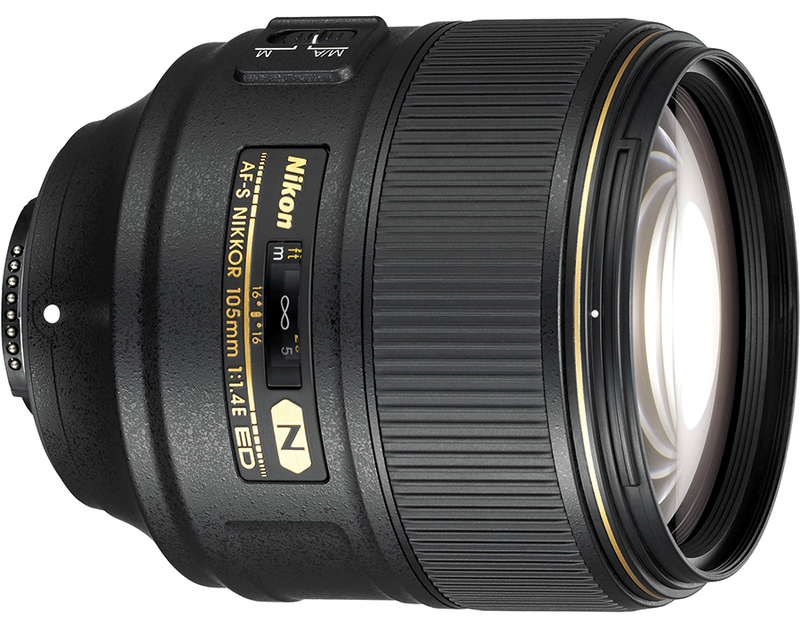 After 23 long years, there is a new portrait 105mm from the manufacturer, the 105mm f/1.4E. As the nomenclature suggests, there are two big changes in this new lens. It is an entire stop faster than its predecessor, and sadly, loses the DC (diffraction control) capability. This is the world’s first 105mm autofocus lens that has an aperture as fast as f/1.4. That automatically gives it a remarkable differentiating quality as compared to other optics, considering how shallow the DOF can really get. Expectedly, the lens construction is really complex, with 14 elements placed in nine groups (as compared to its predecessor, that only had six elements in six groups). The additional glass adds a lot more weight and thus, this lens weighs almost a kilo. To protect the lens from smudges and dust, the front element is coated with fluorine coating. Nano Crystal Coat is used extensively to overcome any possibility of flare and ghosting appearing in the images. Similar to other E-type lenses, the diaphragm is electromagnetically controlled by the camera body, which restricts the use of this lens with some of the older camera bodies like the D200. The use of electromagnetic control improves accuracy for still images and transition finesse for video work, where aperture changes can be utterly smooth. The aperture has nine blades and helps in delivering extremely soft and rounded bokeh. Silent Wave AF motor helps in faster AF performance and full-time MF override. I tested the lens on two cameras, the Nikon D850 and the D7200. The combination is rather heavy, but the lens balances well and feels very sturdy, and the weight contributes to the steadiness that is needed for a non-VR lens. The lens barrel is made from high-grade engineering plastic and has a metal mount. The focusing ring is wide enough to hold and has a textured rubberised coating. The ring offers the right amount of damping to allow precise manual focusing. Focusing operation is carried out by moving lens elements internally, this helps in keeping the overall length of the lens unchanged throughout the entire focusing range. The lens accepts 82mm threaded accessories and during focusing, the front element does not rotate. This comes pretty handy for those who use polarisers or ND grad filters on a regular basis. On the lens barrel, there is only one switch marked as M/A and M. There is a small glass window on the barrel where one can see distance and depth-of-field markings. The latter is a bit of a formality, as you can gauge the same only for f/16, but considering the telephoto nature of the lens, I hardly needed to use it, while shooting. For focusing operation Nikon has employed Silent Wave Motor and not the ultrasonic one. This is not a problem in real life as while shooting video, the transition of focus is actually smoother with this arrangement. AF is accurate and quite speedy for an f/1.4 lens, especially considering the previous Nikon f/1.4 and Sigma Art lenses, most of which are relatively slower. Speeds drops a bit in low light, but accuracy remains excellent. Optically, this lens is excellent. It exhibits very good sharpness from f/2 to f/11 although at f/1.4 there is slight loss in sharpness at the centre and at f/16, slight diffraction was visible. The edges are soft at f/1.4 to f/2 but from F/4 and onwards it improves considerably, hitting the sweet spot around f/5.6. The best results are obtain while I was using the lens from f/4 to f/8. That said, considering that edges are rarely a concern while shooting portraits at 105mm, the loss of sharpness is not something that will affect real world use. Distortion is well controlled. There is a noticeable light fall off at f/1.4, again, an aberration, but something that wouldn’t bother most portraitists. The vignetting disappears when you stop down to f/5.6. Fringing and flare are virtually absent. This isn’t an easy lens to use. It’s not easy on your wrist, not easy on your pocket, and at f/1.4 at 105mm, focusing needs to be extremely critical. And yet, that is what makes this piece of optics so special. The sharpness is excellent and for a discerning portraitist who relishes large prints with cameras like the D810 and D850, its price of Rs. 1,49,950 seems acceptable. Why? Fast autofocus and superb sharpness.